Properties in Hot Springs average 4.7 out of 5 stars. Property 4: An Uptown Delight! Close to Downtown Hot Springs! 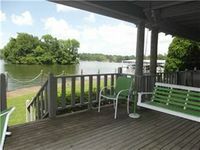 Property 9: Peaceful and Charming Lake View Condo!! Property 10: The Cabins On Grand #4. Property 13: Downtown Hot Springs is Minutes Away! Totally Remodeled, Private Parking. Property 15: Charming Lakefront Condo with Must See Views!! Pool Access! Property 16: Large Luxury Lake Front Condo on Lake Hamilton! Spring & Summer book up fast! Property 22: BEAUTIFUL INTERIORS IN THIS LAKE FRONT CONDO! A Few Blocks Away From Beautiful Downtown Hot Springs National Park! Property 23: A Few Blocks Away From Beautiful Downtown Hot Springs National Park! Property 27: Recently remodeled condo at The Landing. Ideal location! Wonderful LAKE HAMILTON HOUSE on a POINT! Must See View from all windows! Property 29: Wonderful LAKE HAMILTON HOUSE on a POINT! Must See View from all windows! Property 31: Stay at the Spa City Cottage! Just Remodeled!! A Waterfront Paradise! Fabulous View!! Minutes to Oaklawn! Property 32: Just Remodeled!! A Waterfront Paradise! Fabulous View!! Minutes to Oaklawn! Romantic Over Water Cottage W/ Screened in Porch. Property 44: Romantic Over Water Cottage W/ Screened in Porch. 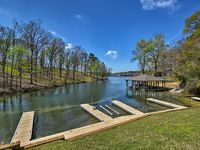 Property 47: Hot Springs Condo on Lake Hamilton w/Pool & Docks! On the edge of the Lake! Property 48: On the edge of the Lake! Spacious and clean with a well equipped kitchen. Loved sitting on the patio early mornings. Great find.